Don Colbert MD walks the talk. He is fit, healthy and full of vitality and he is also the Medical Director at the Divine Health Wellness Center based in Florida where he practices in Anti-Aging and Integrative Medicine. He has treated over 50,000 patients using a range of approaches including natural healing and holistic medicine. Clearly a lot of people like what he does and he has a strong Facebook rating and following as well as active Twitter followers. 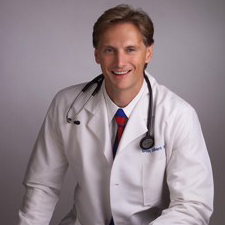 Dr Colbert has been a US Board Certified Physician for over 25 years in Family Practice and is on the Medical Advisory Board for the Fellowship of Christian Athletes and he is trained in nutritional therapy, homeopathy, and detoxification. Among the many of his products he has developed includes nutritional supplements such as Living Green Supremefood which is an excellent example of a product that contains organic supplements. See our review of Living Green Supremefood review here. Don Colbert received his degree in medicine from Oral Roberts University (ORA) in 1984, a private, Christian interdenominational institution that was founded in 1963 by Granville Oral Roberts (1918 – 2009) an American Methodist-Pentecostal televangelist and a Christian charismatic. Located in Tulsa, Oklahoma, ORA has a total undergraduate enrollment of approximately 3,000 students, over 60 undergraduate degree programs along with a number of masters and doctoral degrees. Dr Don Colbert is listed among the 32 Notable Alumni of the university. Dr Don Colbert is an internationally known expert and prolific speaker on integrative health and has been featured on Prevention Magazine, Newsweek, The O’Reilly Factor, ABC (US), Dr Oz, BBC, World News, Readers Digest, and many prominent Christian TV programs. He is also the TV host of his newly syndicated TV program “Dr Colbert’s Health Report” and can often be seen as a guest of John Hagee, Joyce Meyer, and Kenneth Copeland. With a resume like this would probably place him among the best nutritional supplement companies.